Welcome to the AIS online election page. Voters choose TWO regular council members, and one student council member. ONLINE VOTING WILL CLOSE AT MIDNIGHT EST ON 2014-11-15. Dr. Elena Andreeva received her B.A. and M.A. degrees in Middle Eastern Studies at Moscow State University and her Ph.D. at New York University. She is an Associate Professor of History at Virginia Military Institute where she teaches classes on Iran, the Middle East, Islam and World History. Her research focuses on the interaction between East and West, Iranian history and culture in the 19th and early 20th centuries, and aspects of colonialism and imperialism in the Middle East and Asia. She is the author of Russia and Iran in the Great Game: Travelogues and Orientalism (2007) which has been translated into Persian by the University of Tehran. She has also published articles on Persian and Dari literature, on Russians in Iran and on Russian Orientalism in the arts. Most recently, she has guest edited (with Dr. Maziar Behrooz) a special issue of the Journal of the Association for Iranian Studies (vol. 46, no. 3, May 2013) dedicated to the relationship between Iran and Russia, which included her article “First Phase of Colonization: Russian Villages in Iran in the Early 20th century” (with Dr. Morteza Nouraei). Dr. Andreeva’s current projects include editing a volume on Russians in Iran (with Dr. Rudi Matthee) and work on a book about images of Central Asia exemplified in the writings and paintings of Nikolai Karazin (1842-1908). Blake Atwood is an assistant professor in the Department of Middle Eastern Studies at the University of Texas at Austin, where he is also the coordinator of the Persian language program and an affiliate of the Program in Comparative Literature. He received his B.A. 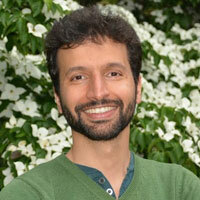 in Persian from the University of Virginia in 2006 and his Ph.D. in Persian studies from UT Austin in 2011. Between 2011 and 2013, he taught at the University of Pennsylvania. His research interests include Iranian cinema, film and technology, contemporary Persian literature, and Persian language pedagogy. He co-authored the introductory Persian textbook Persian of Iran Today (2013) and recently co-edited a volume of essays on Iranian cinema entitled Iranian Cinema in a Global Context: Politics, Policy, and Form (2014). He has published articles on Iranian cinema and Persian literature in both English and Persian, in journals such as World Literature Today and Iran Nameh. 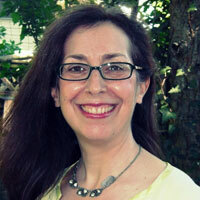 Alyssa Gabbay is assistant professor of religious studies at University of North Carolina at Greensboro. She received her PhD from the University of Chicago, specializing in classical Persian literature and medieval Islamic history. Her publications include: Islamic Tolerance: Amir Khusraw and Pluralism (London: Routledge, 2010); “Rebels, Virtuous Adorers And Successors: The Agentic Daughters Of The Shahnama” in Charles Melville and Gabrielle van den Berg, ed., The Reception of Firdausi’s Shahnama (Leiden: Brill, forthcoming); “In Reality a Man: Sultan Iltutmish, His Daughter, Raziya, and Gender Ambiguity in Thirteenth Century Northern India,” Journal of Persianate Studies 4, no. 1 (2011), pp. 45-63 (also co-edited special issue of that journal); and “Love Gone Wrong, Then Right Again: Male/Female Dynamics in the Bahram Gūr-Slave Girl Story,” Iranian Studies 42, no. 5 (2009), pp. 677-692. 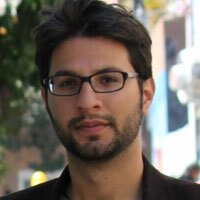 In 2007, Gabbay received the Foundation for Iranian Studies’ award for Best Ph.D. Dissertation on a Topic of Iranian Studies. She is currently at work on two separate book projects. The New Moon of Perfection and Other Prefaces (under advance contract with the Murty Classical Library of India, Harvard University Press), consists of translations and critical editions of the prefaces to Amir Khusraw’s books of poetry. The second project addresses descent from daughters in Islam. Florian Schwarz is Director of the Institute for Iranian Studies at the Austrian Academy of Sciences in Vienna, Austria. He received his PhD in 1998 from the University of Tübingen. 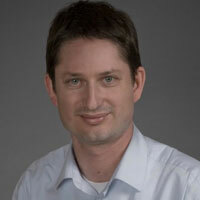 He has taught at the University of Bochum (Ruhr-Universität Bochum) and at the University of Washington in Seattle. His interests are mainly in the history of medieval and early modern Iran and Central Asia. His current research focuses on intellectual networks and manuscript culture in early modern Iran and on urban and regional history. He is the author of three books in German on Sufism in 16th-century Transoxania and on Iranian numismatics, and editor of two monograph series in Iranian Studies for the Austrian Academy of Sciences Press. His articles include Preliminary Notes on Viticulture and Winemaking in Colonial Central Asia (2014), Political Crisis and Cultural Transformation in Mongol Iran (2013, in German), Contested Grounds: Ambiguities and Disputes Over the Legal and Fiscal Status of Land in the Manghit Emirate of Bukhara (2010), and Writing in the Margins of Empires: The Husaynabadi Family of Scholiasts in the Ottoman-Safavid Borderlands (2010). 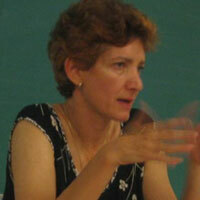 Aria Fani holds a degree in comparative literature from San Diego State University. 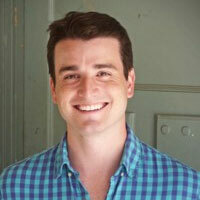 Currently, he studies towards a Ph.D. in Near Eastern Studies at the University of California, Berkeley. He has served on the board of directors of San Diego's Persian Cultural Center for three years. His essays and literary translations have been featured in Iran Nameh, PBS Tehran Bureau, Consequence, Art East, Ajam Media Collective, and Jadaliyya. Aria's forthcoming publication is an essay entitled "Poet as Citizen in a Contested Nation: Resistance and Exile in the Poetry of Soviet-occupied Afghanistan" (Oxford University Press, 2015). Peyman Jafari is a PhD candidate at Leiden University where he is writing his dissertation on the Social History of Labor in the Iranian Oil Industry (1973 and 2005), and he teaches at the University of Amsterdam. He is interested in labor history, social movements, political economy, international relations and critical theory. As a recipient of a Fulbright Fellowship and a former visiting scholar at Columbia University and the School of Oriental and African Studies, Peyman has ample experience in working in international settings. He was an elected member of the Central Student Council of the University of Amsterdam and he is currently a board member of the International Association Strikes and Social Conflicts. In 2012, he served on the organizational committee of the AIS Biennial Conference in Istanbul.